Back in June, we published an article about how Crash Bandicoot was coming to the newest Skylanders game. This game (titled Skylanders Imaginators) would let you make your own Skylanders characters, as well as any characters you want from the past titles (Bowser and DK included). Well, it seems like he’s not the only one to make the jump! Oh no, his archenemy is heading to the series as a playable character too! The PS4 section of GameStop’s website accidentally leaked these piece of artwork. Notice anything about the figures shown? Yeah, Dr Cortex is one of them as well. 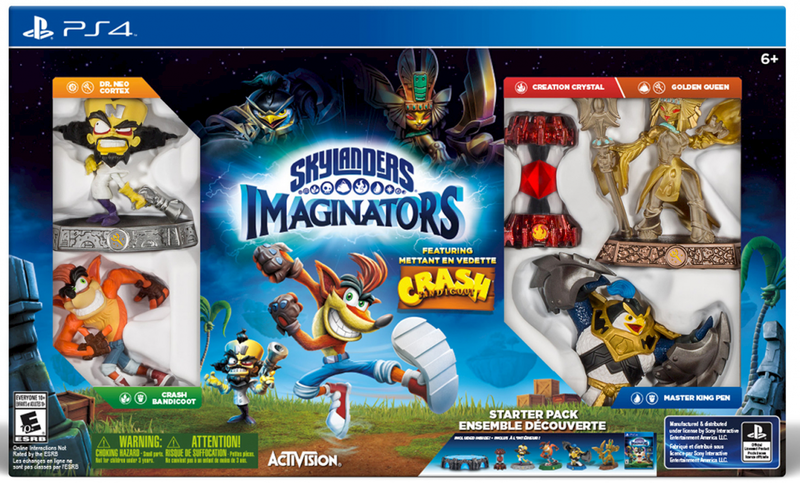 So unlike Spyro, they’re at least bringing more than Crash himself over to the Skylanders franchise. That won’t please a lot of Crash Bandicoot fans, but it will at least ease fears that the franchise’s cast are going the way of Spyro’s after his move to the Skylanders universe. Either way, the image probably wasn’t supposed to go up yet. As a result, it was quickly pulled after being spotted and replaced with a more generic image instead. Still, it appeared once, and used to be in Google’s cache at one point. So yeah, he’s definitely appearing in the game. But what do you think? Is it a good idea to have more than just Crash representing his series in Skylanders Imaginators? 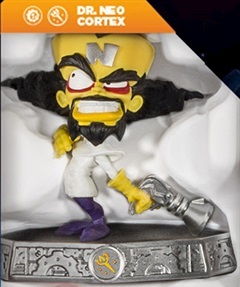 Do you think having a Cortex figure will get the franchise a bit more recognition in time for its inevitable return? Or is the idea of any Crash Bandicoot character in Skylanders a horrible one in general?